The German tuners at mcchip-dkr have turned the Mercedes-Benz G63 AMG into the ultimate 810 PS off-roader. Mercedes-Benz is ready to pull the plug on the ridiculously awesome G63 AMG 6x6 and replace it with a less bonkers G500 4x4². 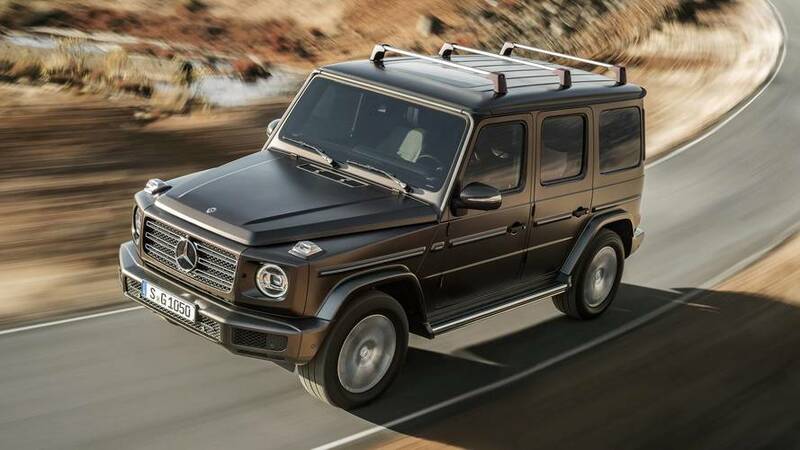 This new model has probably fueled the imagination of mcchip-dkr's tuners who took a G63 AMG and jacked up its ground clearance by 15 cm and made it 12 cm wider at each side. It now sits on 18-inch wheels wrapped around in 37/15/18 off-road tires and has received a KW DDC chassis setup. They also worked on the V8 5.5-liter twin-turbo engine and bumped its output from the series 544 PS (400 kW) and 760 Nm (560 lb-ft) to no less than 810 PS (596 kW) and 950 Nm (701 lb-ft) so it is almost twice as powerful than the G500-based 4x4² set to have 422 PS (310 kW). The added oomph of the engine was possible by installing custom turbos, implementing a stage 4 software optimization and a specially developed exhaust system. Thanks to these upgrades, top speed has increased from the electronically-limited 130 mph (210 km/h) to 142 mph (229 km/h) and this power bump has commanded a stronger set of brakes provided by MOV'IT.